Michael Nye practiced law for ten years before pursuing photography full time. He has received a Mid-America National Endowment for the Arts grant in photography and a Kronkosky Charitable Foundation grant, and he has exhibited and lectured widely at museums and universities nationally and internationally, including in Morocco, India, and Mexico. His journeys to photograph around the world include projects in Russian Siberia, Iraq after the first Gulf War, Palestine, China, and Labrador, and he has participated in two Arts America tours in the Middle East and Asia. His documentaries, photography, and audio exhibitions Children of Children, stories of teenage pregnancy, and Fine Line: Mental Health/Mental Illness and About Hunger and Resilience have traveled to more than 150 cities across the country. He lives in downtown San Antonio. My Heart Is Not Blind is a collection of stunning portraits of blind and visually impaired people taken by photographer Michael Nye. Each image is accompanied by an intimate story told by the subject concerning his or her experiences and unique perspective. The causes of vision loss range from genetic predispositions or disease to external circumstances such as accidents or violence. The people in this diverse collection differ not only in their particular conditions and losses but also in their cultural and socioeconomic backgrounds. Taken as a whole, however, their accounts of adapting to changing modes of perception are bound by a common theme of resilience, revealed in shared reactions and unexpected insights. 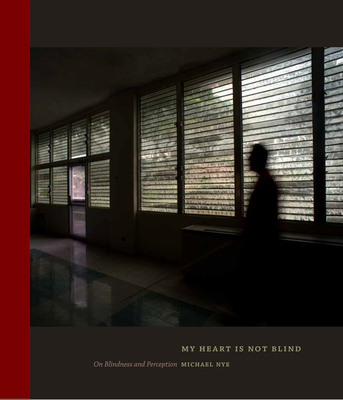 My Heart Is Not Blind offers compelling accounts of survival, adaptation, and heightened understanding, inviting us to reconsider what we think we know about blindness in order to gain a deeper understanding of perception.